Regular readers of this blog will know that I’m not particularly one for endorsement, though I do sometimes recommend specific products that I believe have particular merit, including books. Recently, I became aware of a book which I think is a valuable contribution to the area of nutrition and weight control. Entitled The Calorie Myth, the book takes a science- and evidence-based approach to exploring the optimal type of diet for body weight and health. 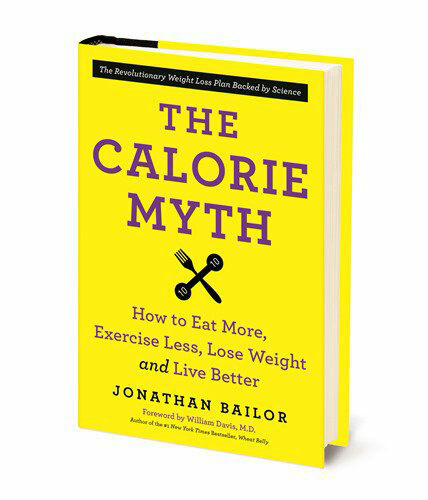 The book is written by Jonathan Bailor, a former personal trainer who knows only too well how conventional approaches to weight control and optimising health can be hopelessly ineffective. I’ve known about Jonathan for some time, but recently got to ‘meet’ him over the internet during a couple of interviews we did for a podcast he hosts (the interviews will air some time early in 2014). In addition to his previous experience as a trainer, Jonathan also happens to be a senior programmer for Microsoft. I think Jonathan has applied his analytical mind to the published research in the area. He’s distilled the insights gained here as well as his previous experience as a trainer into The Calorie Myth. The book explores several fundamentals regarding the appropriateness of foods in the diet, specifically the ability of foods to satisfy our appetites properly, the propensity of foods to provoke fat storage and the nutritional value of foodstuffs, as well as a food’s efficiency (essentially, the energy in the food available for storage as fat). I like the concepts in this book at least in part because they shift the focus away from just getting into caloric deficit (‘eat less, exercise more’), and onto what I believe to be key areas such as the impact food has on hormones (including insulin), and how to develop an eating regime that is sustainable because it does not leave us perpetually hungry and wanting for more. 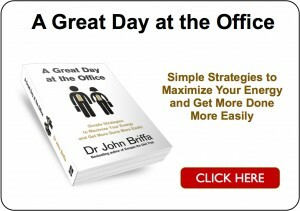 You can read the Introduction to the book here. Some of you may be looking for some New Year inspiration regarding your understanding of healthy eating and activity, as well as some solid practical guidance. I’m sure The Calorie Myth will provide valuable impetus for many. Here’s a 13-minute video of Jonathan in which he introduces the main concepts covered in his book. I had high hopes for this, but was disappointed. Its a paleo diet, verging on the vegetarian. He encourages high fibre, which is detrimental to many with digestive issues. Goes out of his way to NOT mention meat as a healthy choice. The graphics show the word “chicken” once and shows an image of a fish as the only animal product that should go into your body. He even lists high fat dairy towards the detrimental end of his same/insane food choices. More “eat mostly plants” /low fat twaddle. 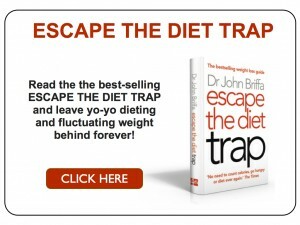 Sounds like another dupe of Tom Venuto’s Burn the Fat feed the Muscle’, the most comprehensive book on nutrtion, diet and weight loss/maintaining there is. Saw him on Fox News this morning and wondered why I had not heard of him. He sounds low carb/paleo, yet the words were not spoken. Smart move, I think, to avoid preconceived notions. I came away with “eat whole foods and avoid packaged, processed foods.” What’s not to like? I used to read his website quite a lot. but agree that his approach is rather too high on carbs for my needs. but i love his analytical approach and dedication to the science. We all “know” that for our health maintenance men need 2,500 Kcals & women 2000 Kcals. What is the basis for that doctrine? Is the the same, regardless of diet type – e.g low carb. high fat, or NHS high carb? I just found this blog about MSG being a cause of inflammation, etc. Katherine Reid, Ph.D – in biochemistry. If you haven’t come across these sites you might find them interesting: nutritionstudies.org by T. Colin Campbell, Ph.D. (Dr. Campbell is the Jacob Gould Schurman Professor Emeritus of Nutritional Biochemistry at Cornell University) and heartattackproof.com, the website of Dr. Caldwell Esselstyn, former cardiac surgeon at the Cleveland Clinic (and an Olympic gold medal winner!). There’s the website for the film “Forks Over Knives” forksoverknives.com. Thanks. I have read the book and spent some time listening to podcasts and reading articles. It isn’t low fat and is less fanatical than a lot of paleo authors.The recipes are easy to cook and enjoyable. There is a supportive facebook page and I fell that his ideas translate into a way of eating for life. I do think his ten servings of green veggies a day is hard to eat especially for those of us in the UK or maybe I just don’t like veggies that much. A useful addition to thew healthy eating bookcase as it isn’t just about losing weight. I wish he had put some emphasis on healthy fats like butter, lard, coconut oil, and olive oil. Perhaps people are so afraid of fat that he will sneak it in later after they get on board. He emphasises low-fat yoghurt, egg-whites and so on. Even so, he rails against any accusation of lipophobia; but his recommendations for fats are always so carefully couched so as not to offend mainstream sensibilities (nuts, seeds, seafood, coconut, cocoa, chia). He’ll occasionally, grudgingly mention those from grassfed beef and such, but, he knows what mood-music he needs to play to be accepted on Fox, and is much more likely to emphasise LOW FAT Greek Yoghurt, egg-whites (“throw away the yolk”) and so on. When challenged, he’ll say “oh, that’s just because I’m emphasising protein here [blinks innocently]“. In emphasising substantial amounts of protein and moderate amounts of fat, he of course falls between two stools: people won’t be getting enough glucose exogenously to be a happy sugar-burner, but will also be consuming too much protein and too many carbs efficiently to be properly keto-adapted. So: clever guy, well intentioned, but his desire for ecumenicism muddles his message. On the one hand, he shouts “don’t be afraid of fat”, but on the other, every recommendation he makes de-emphasises fat – particularly animal fat – in preference for “protein and non-starchy vegetables”. Bailor is smart he knows that LCHF and Paleo have a major PR problem and getting on a LCHF soapbox or getting all pious over Paleo will marginalise him. He’s playing the game which is precisely the right way to do it. I lost 3 stone of fat and added a stone of muscle, went from a 38″ – 34″waist (aged 40) in 90 ish days by following his book with just 1 x 45 mins session of exercise a week. Like DB I concur it’s an excellent read and those ‘carbs’ from green veggies I’ve seen a few comments about are like calories from fat, they just don’t count. Now if we could just slow him down and anglicise him a bit….